ISLAMABAD, Aug 25 (APP): Prime Minister’s focal person on Climate Change Syed Rizwan Mahboob on Thursday emphasized the need of coordinated efforts to curb wildlife-related crimes and suggested to take all the stakeholder on board against transnational organized crimes. Addressing the participants of the National Consultation Workshop on Draft Rules under Pakistan Trade Control of Wild Fauna and Flora Rules, 2012 he also assured of utmost support from relevant federal government agencies to further strengthen existing efforts to tackle the challenge of illegal wildlife trade in Pakistan. The objective of the workshops to includes recommendations to improve and strengthen existing legislations; dealing with wildlife trafficking in Pakistan, eliminating loopholes and imposing sufficiently high penalties for wildlife crimes. Concurrently, the there is an equal emphasis on enhancing the multi-stakeholder coordination and capacities including law enforcement agencies and wildlife departments, at provincial, national and regional scale which are critical aspects to curb wildlife crime in Pakistan. The government, he said, was committed to stamp out the illegal wildlife trade in the country and urged the relevant stakeholder to join the government’s such efforts. “Protecting wildlife from all sorts of threats is a top priority of the government, particularly the problem of the illicit wildlife trade, which has shown an unprecedented spike” he added. Syed Rizwan Mahboob also highlighted that the action plan also takes into consideration the welfare aspects of rescued and confiscated wildlife species and suggests recommendations to ensure minimization of trafficking-induced mortalities of wildlife through developing wildlife rehabilitation centres, besides devising guidelines to deal with confiscated wildlife species in consultation with sector professionals. 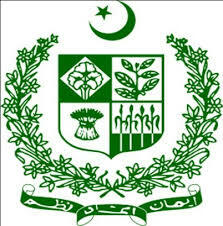 Talking about the Prime Minister’s Green Pakistan Programme (GPP), he apprised the participants that besides increasing tree cover in the country, the initiative (GPP) also aimed to protect wildlife species and strengthen institutional capacity of the government departments to fight illegal wildlife trafficking through inter-provincial cooperation and coordination. He said, GPP) is based on a holistic approach which integrates solutions to tackle key environmental challenges of the country including enhancement of forest cover in the country, biodiversity conservation, tackling illegal trade of wildlife, etc. with the involvement of relevant stakeholders. The Climate Change Ministry’s Inspector General of Forests, Syed Mahmood Nasir, in his inaugural address, said that illegal wildlife trade was recognized as the second biggest threat to wildlife after habitat loss. The illegal trade was estimated to generate 23 billion dollars annually globally, Syed Mahmood Nasir said while quoting from reports of UN agencies involved in checking the illegal wildlife trade. He hoped that the draft National Plan of Action (NPOA) for tackling illegal wildlife trade could serve as a coping strategy for Pakistan to deal with key challenges to curb wildlife crimes and also facilitate all stakeholders for an integrated and collective effort to crack down on wildlife traffickers across the county.